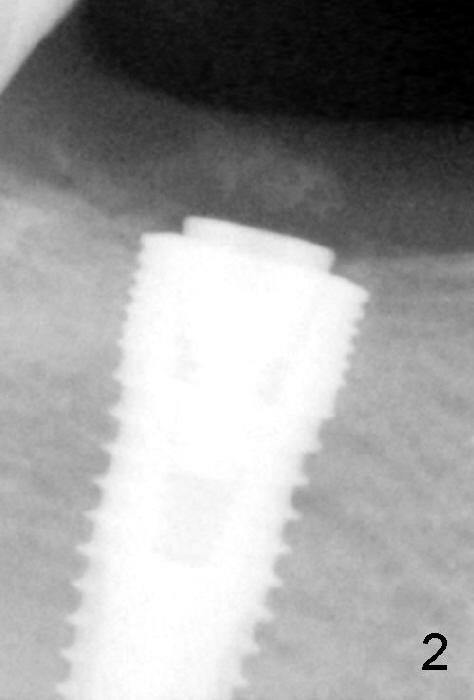 Fig.1 and 2 show a 5.3x12 mm bone level implant immediately and 6.5 months post placement, respectively. 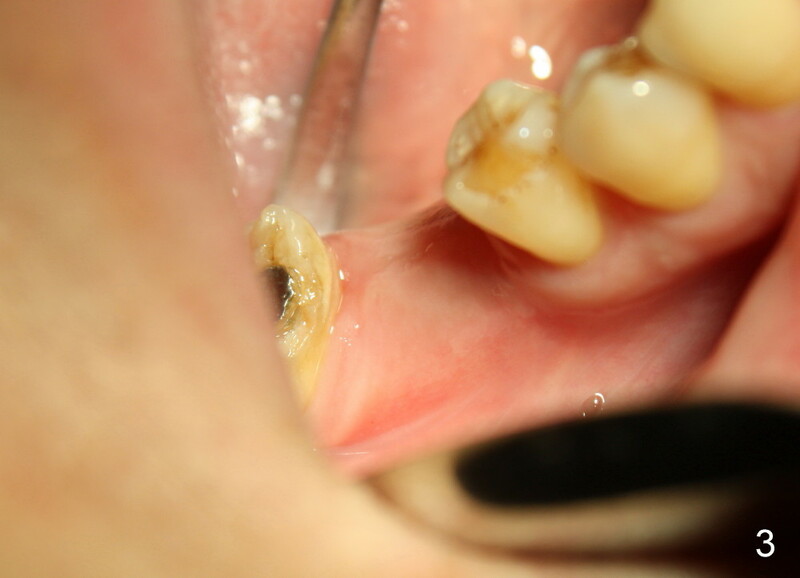 The gingiva looks normal at the site of #30 6.5 months postop (Fig.3). 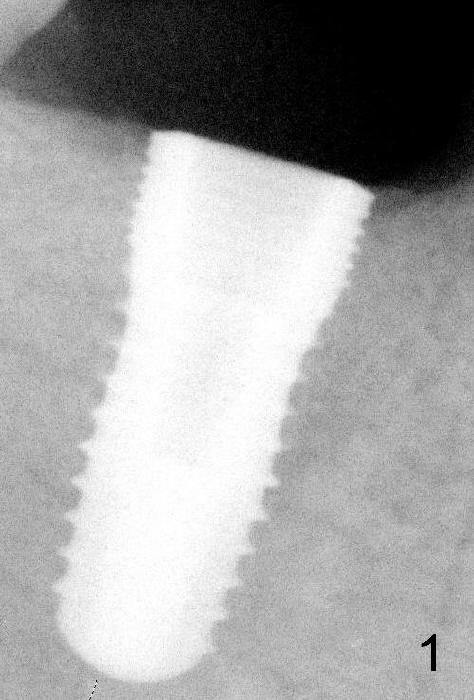 A small incision is made for uncover and a large healing abutment (9.2 mm) is placed (Fig.4 (buccal view), 5 (lingual)). 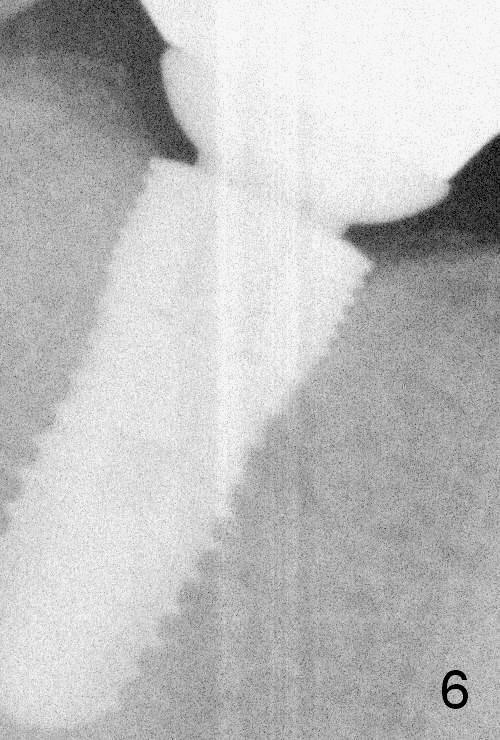 It appears that an interdental papilla forms instantaneously (Fig.4 *). The wound is covered by periodontal dressing. To reduce the chance of post-implant infection, several things should be done. First. the extraction socket should be thoroughly debrided, copiously irrigated and soaked with an antibiotic. Second, any gaps remaining after implant placement should be filled with bone graft, which could be mixed with an antibiotic. Third, the wound should be closed as tight as possible. 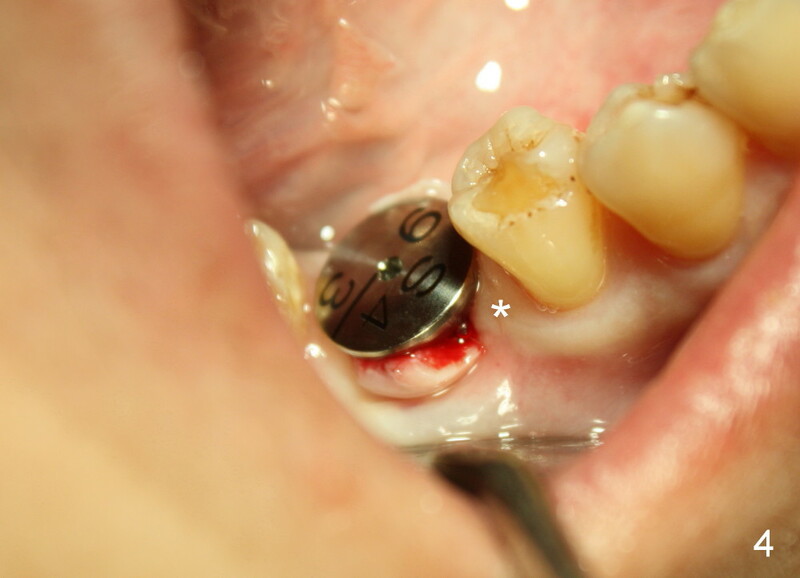 Either the implant is buried (bone level) or a short abutment over a tissue-level implant or healing abutment over a bone level implant is placed so that periodontal dressing can be applied around the wound. Fourth, an antibiotic is taken pre- and post-op. 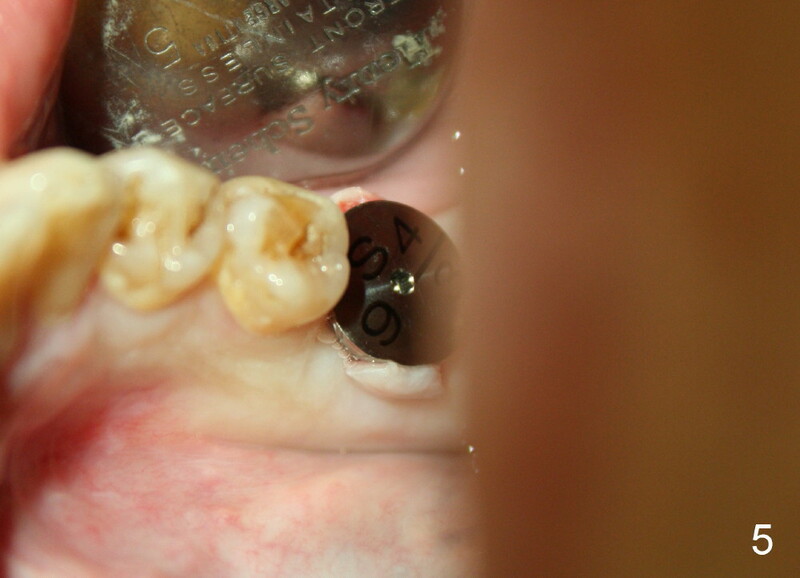 There is no bone loss around the implant 21 months post cementation (Fig.6).